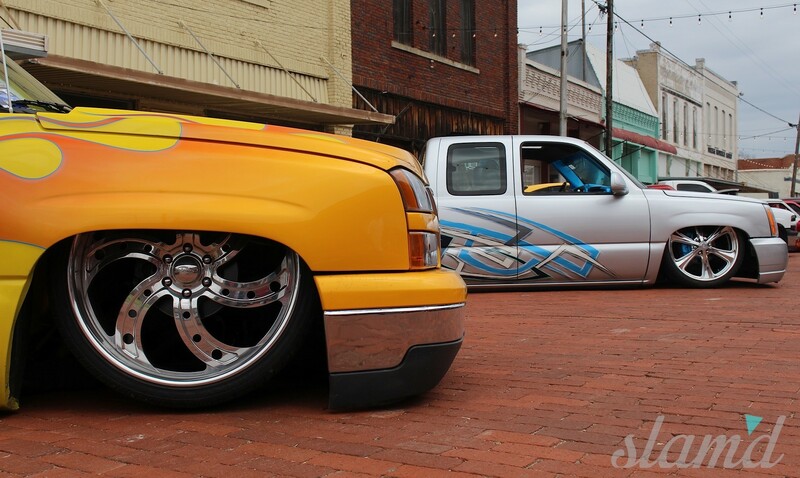 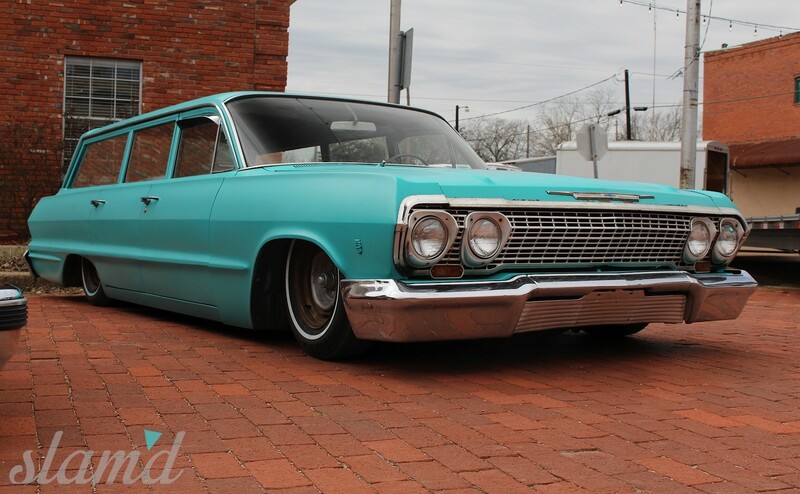 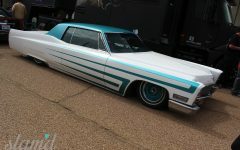 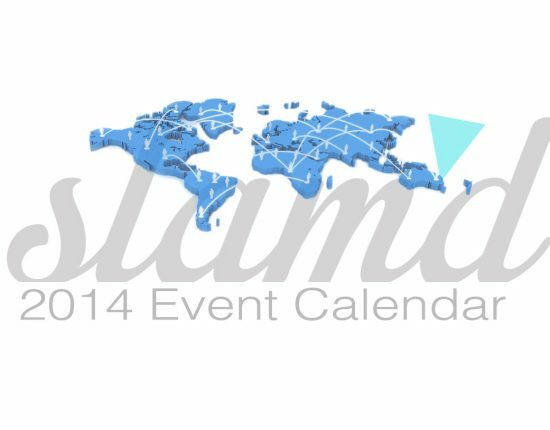 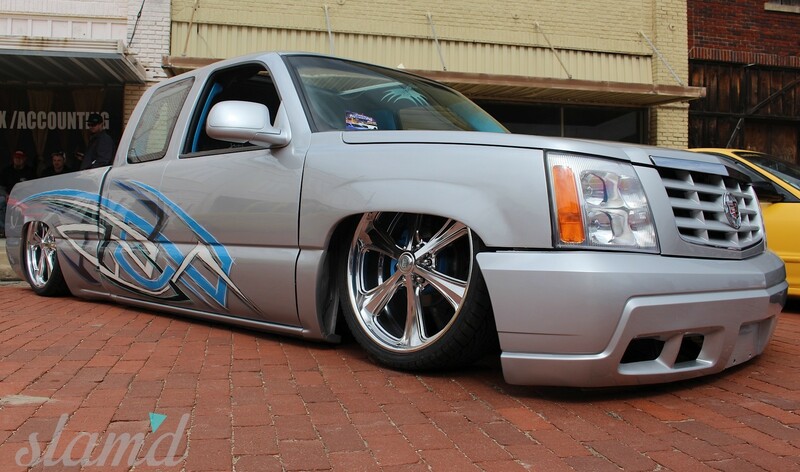 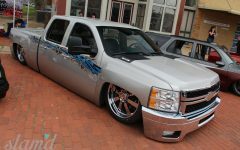 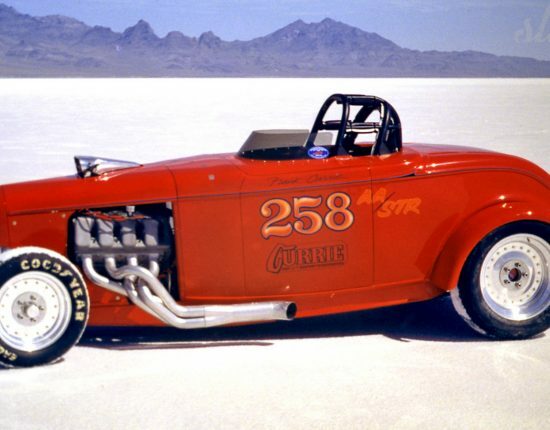 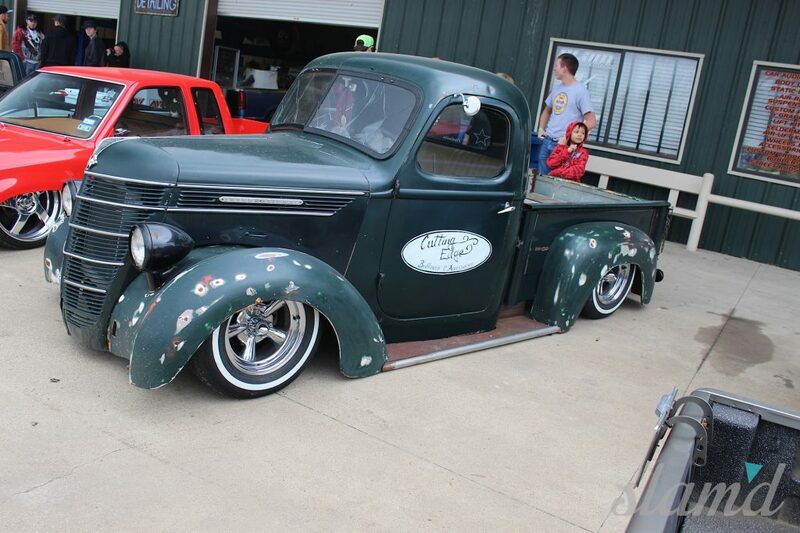 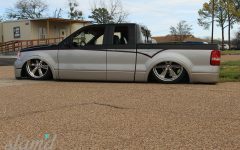 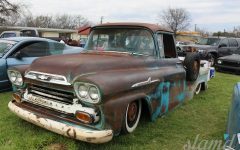 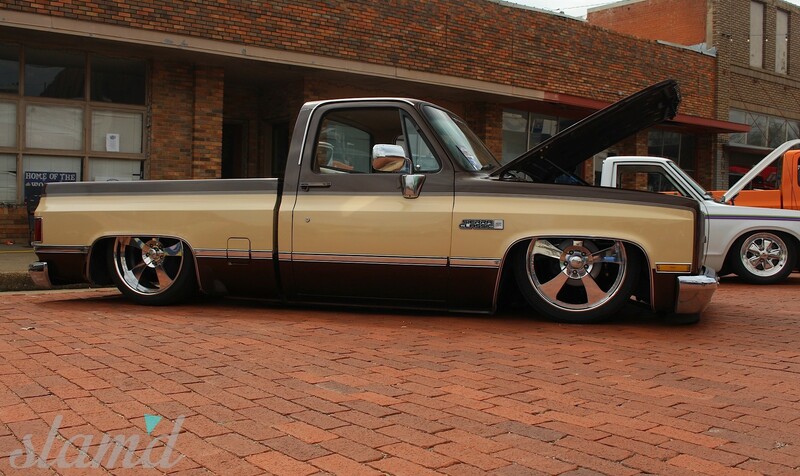 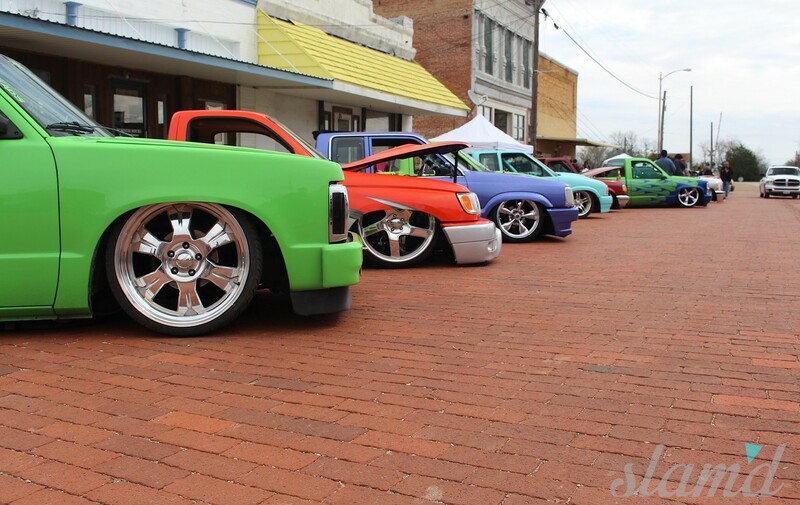 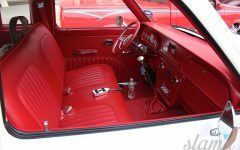 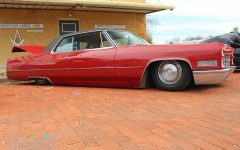 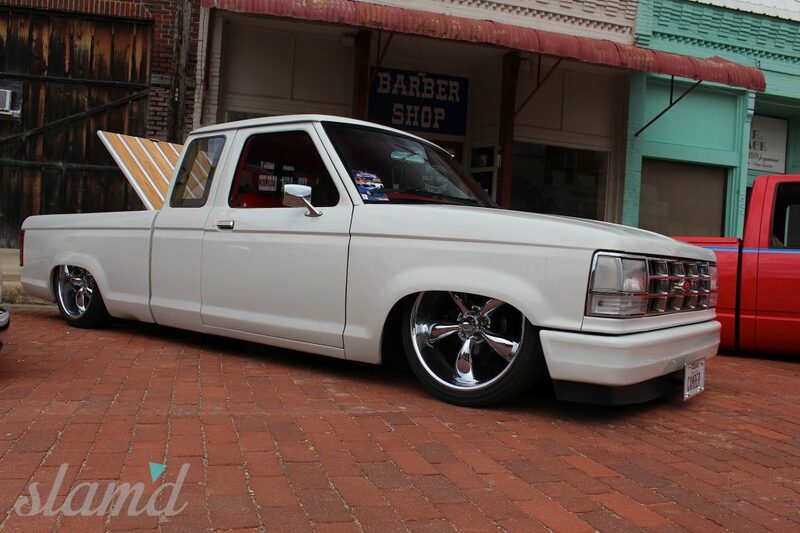 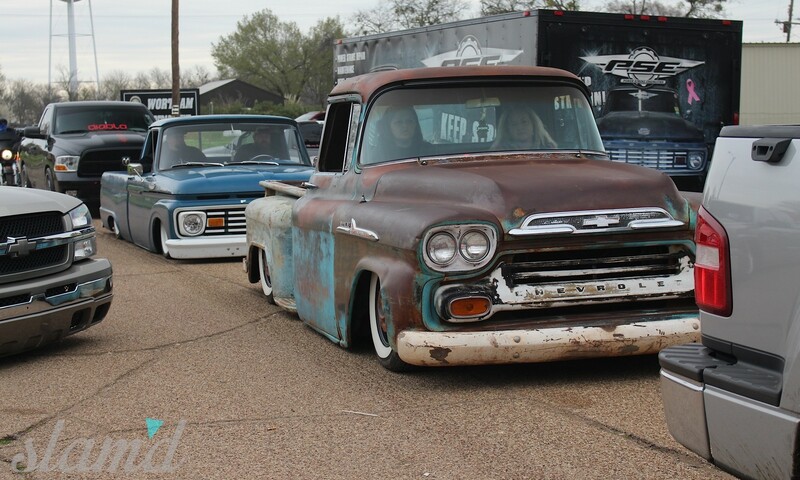 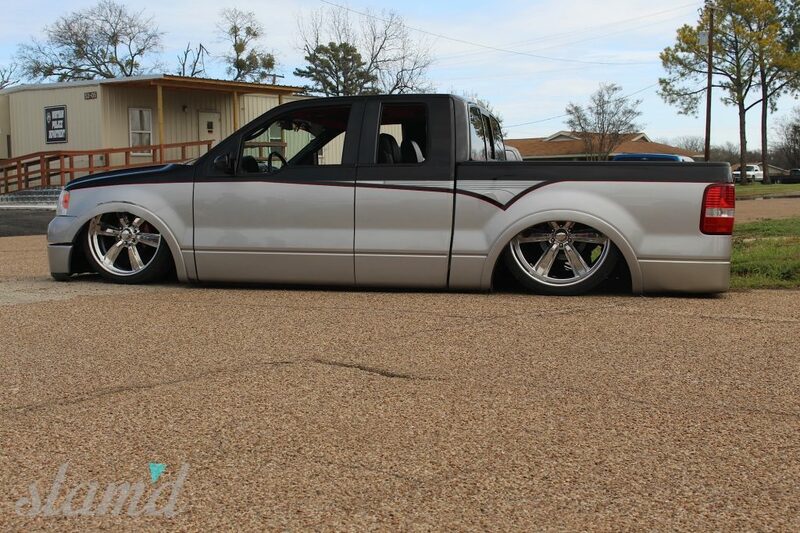 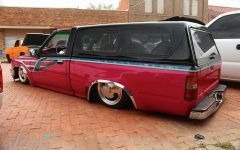 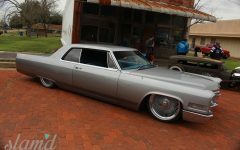 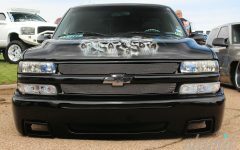 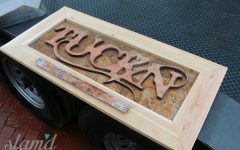 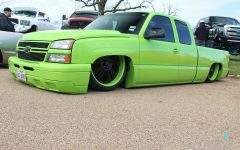 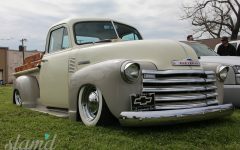 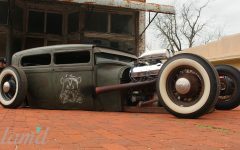 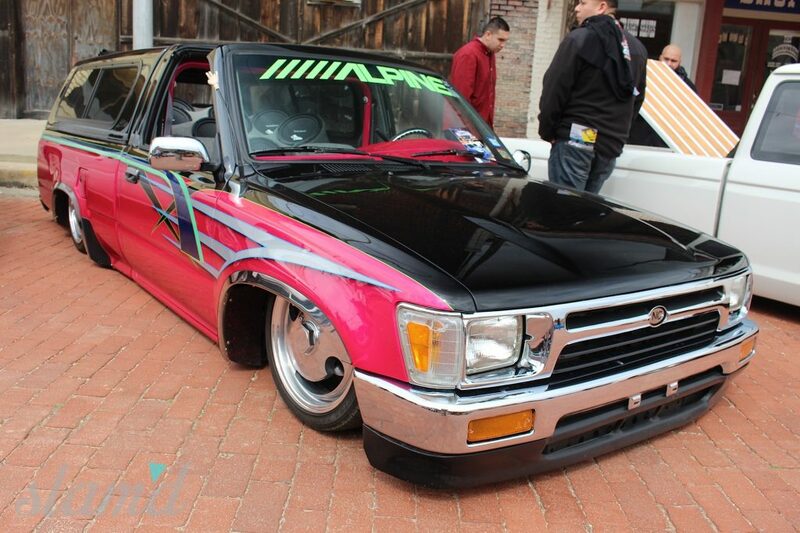 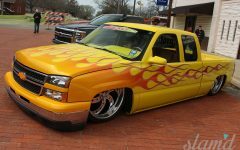 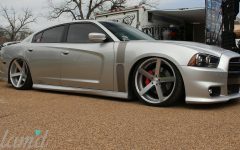 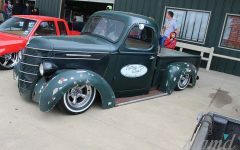 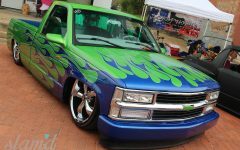 Next ArticleColorado's Hot Rods & Hawgs Show - Slam'd Style! 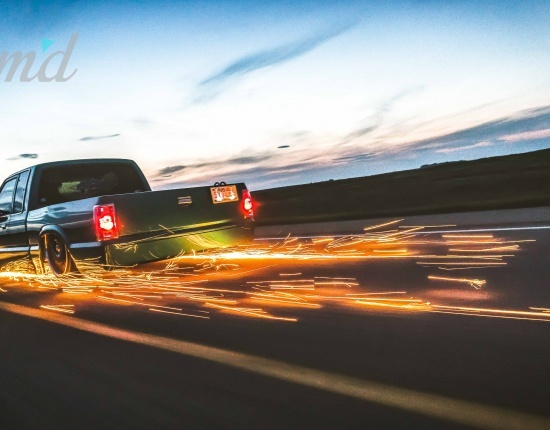 If there’s one thing about the truck community that keeps people coming back for more, we’d have to sum it up in a single word – family. 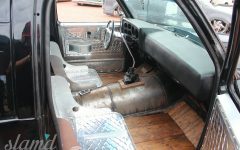 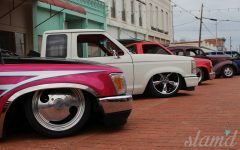 With shows all around the country, truck clubs nationwide, friendship and camaraderie definitely abound in the custom truck world. 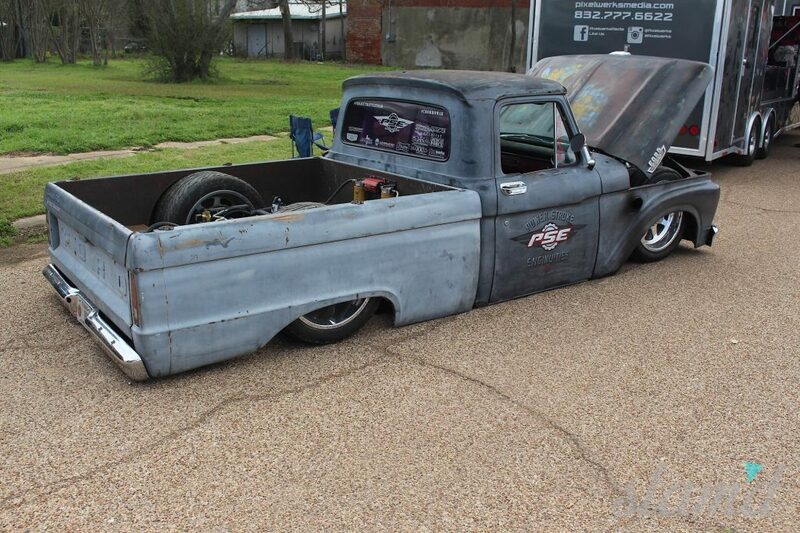 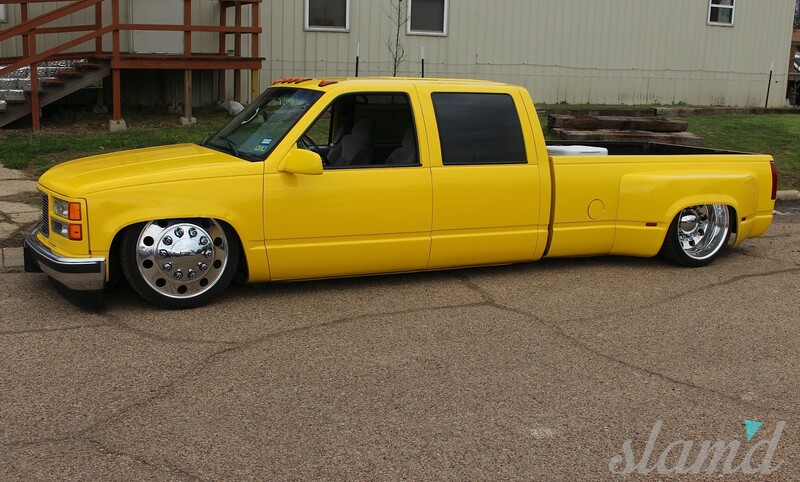 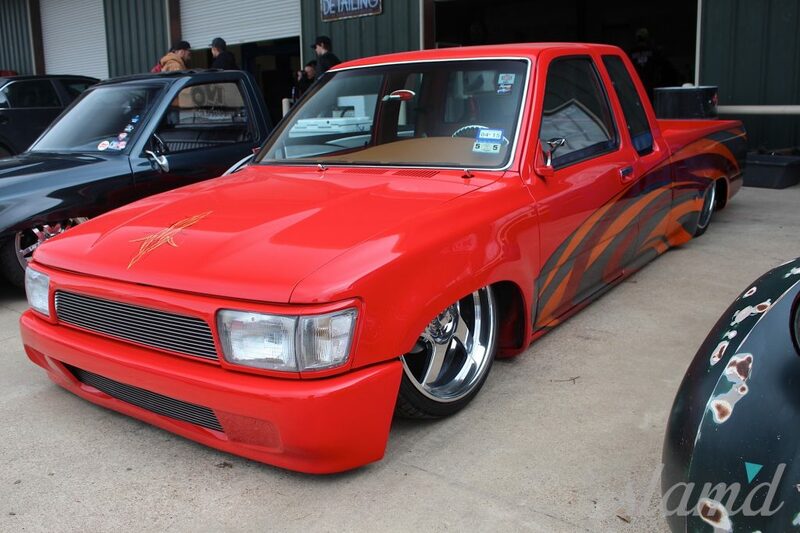 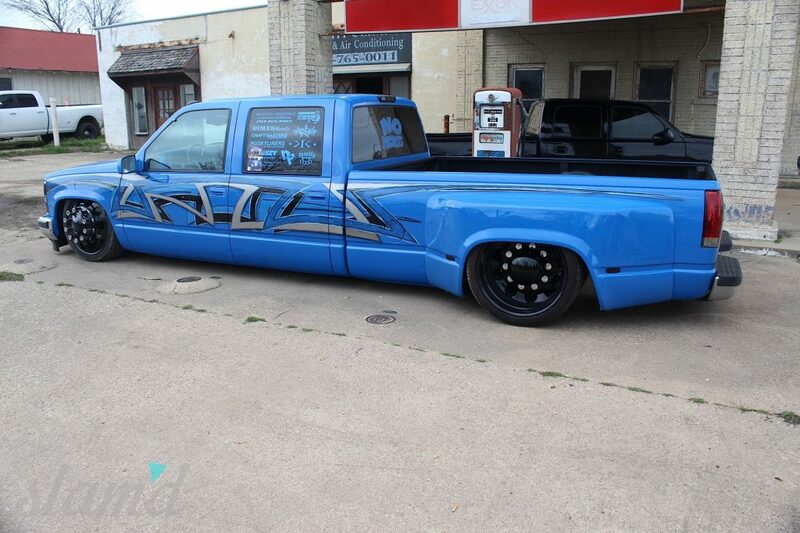 Naysayers always say that the custom truck scene is dying off, but they’ve been saying that for 20 plus years, and yet – it’s still alive and kicking! 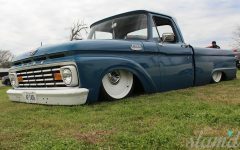 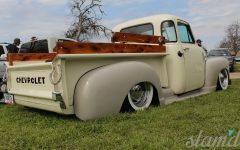 Proof positive is the huge support for this very mag and all of the gorgeous custom trucks scattered throughout these digital pages, and also the huge amount of support that truck clubs and events receive as they continue to grow. 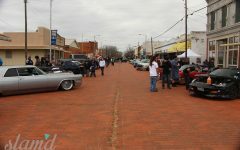 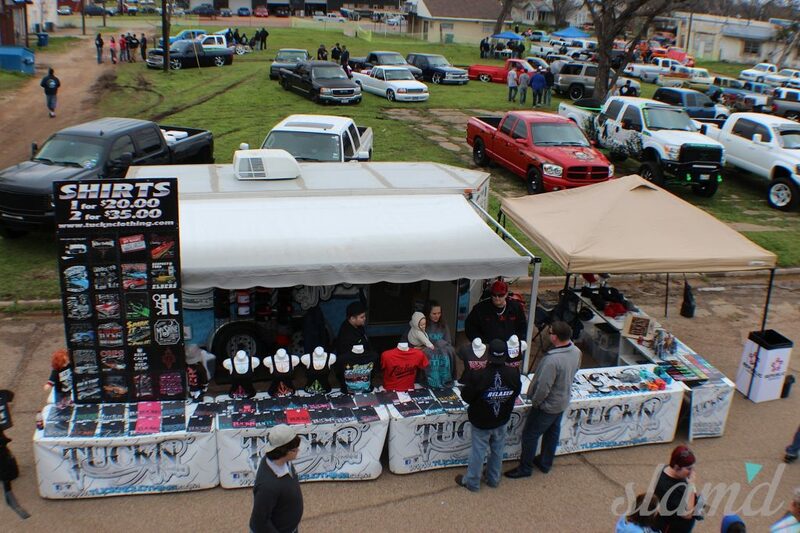 This year we took a trip over to a small town in the Lonestar state called Wortham, Texas to check out the No Regrets Small Town Take Over show presented by Tuckn’ Clothing. 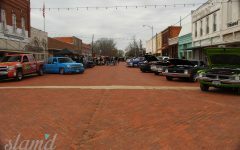 NR Small Town Take Over is held in just that, the very small town of Wortham, Texas where you’d literally pass right by it if you blink. 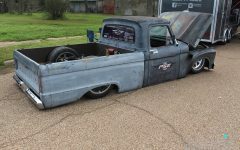 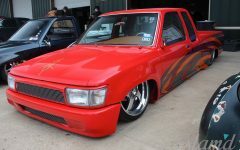 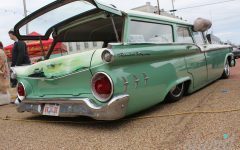 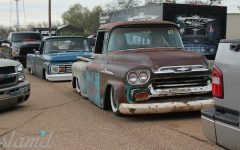 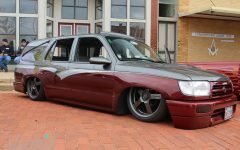 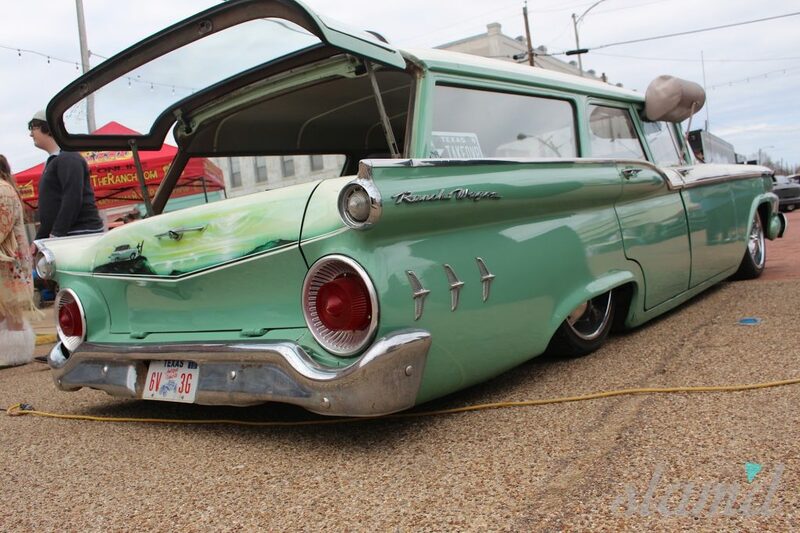 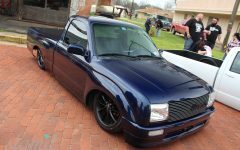 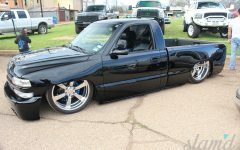 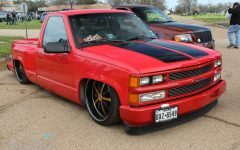 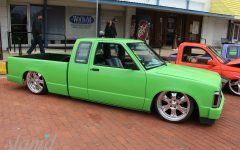 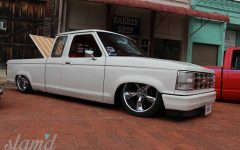 But don’t let the small town name or feel fool you because the show is anything but small, and continues to grow each and every year with plenty of support from locals as well as truck and custom car clubs both near and far. 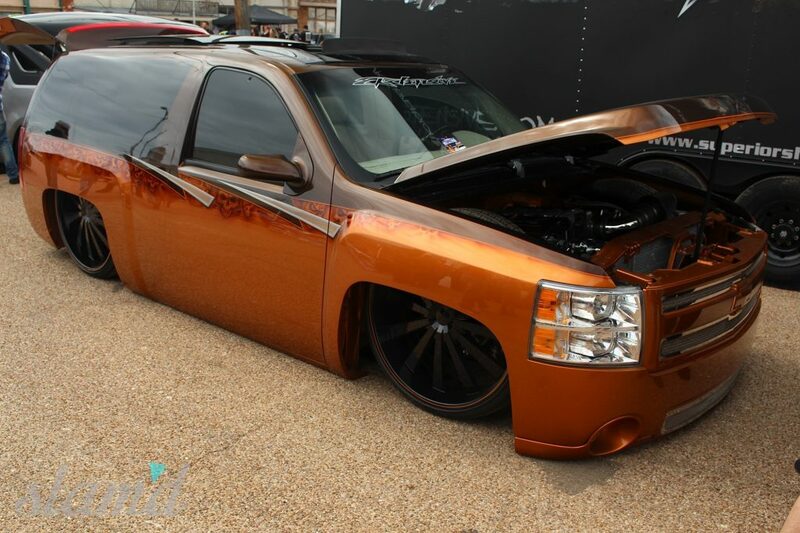 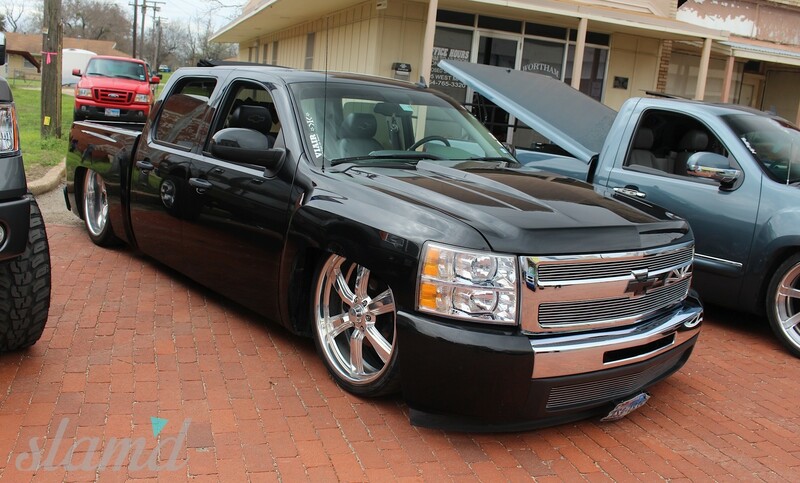 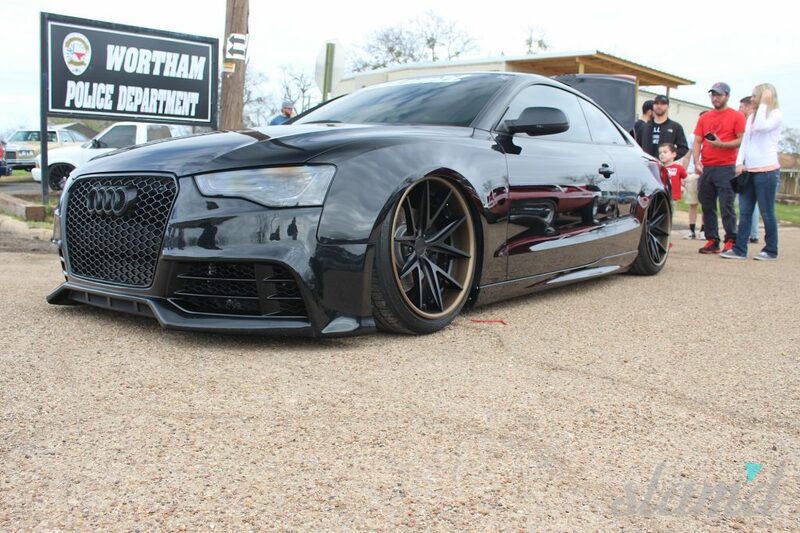 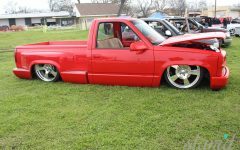 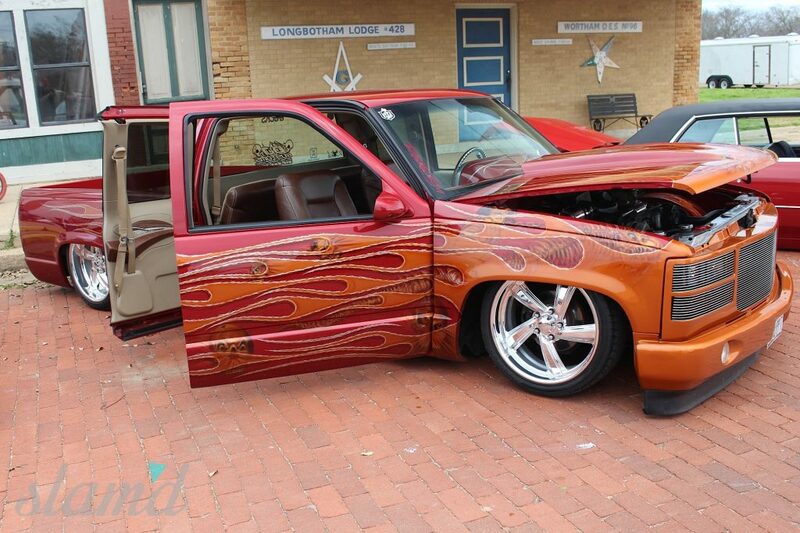 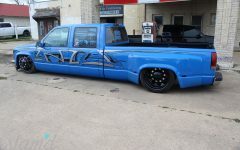 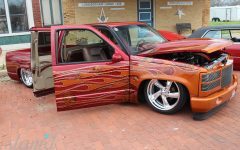 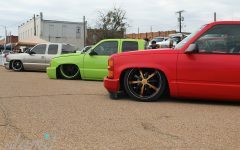 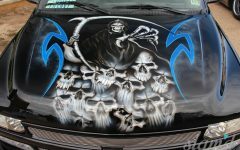 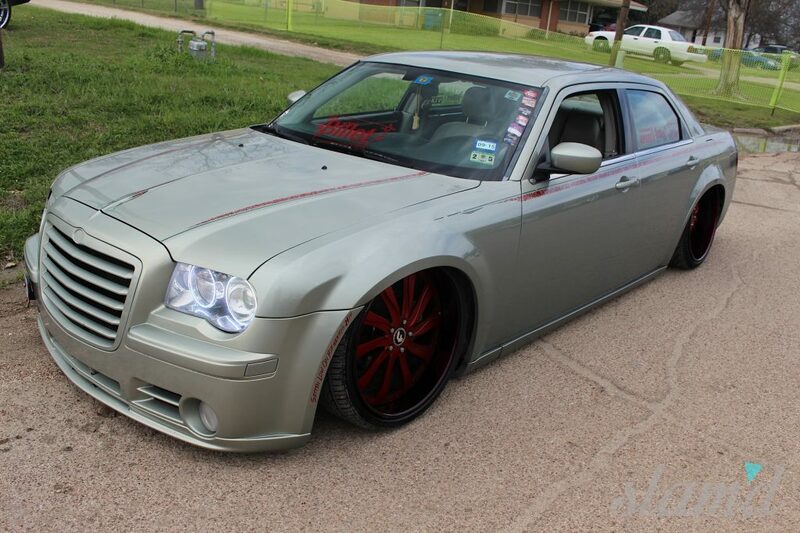 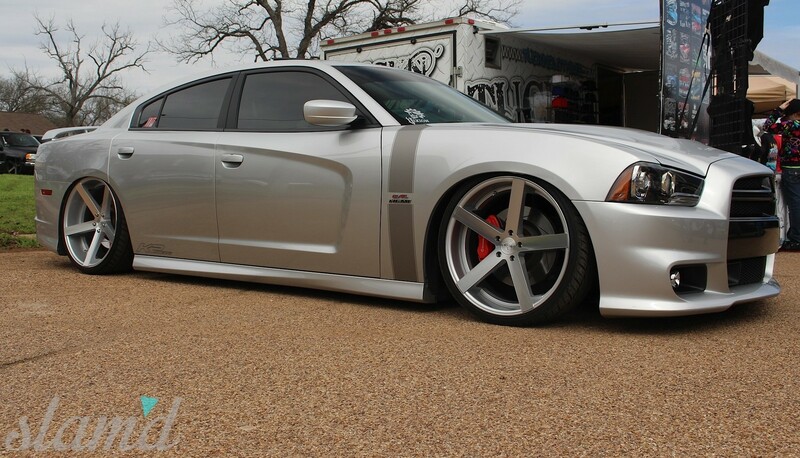 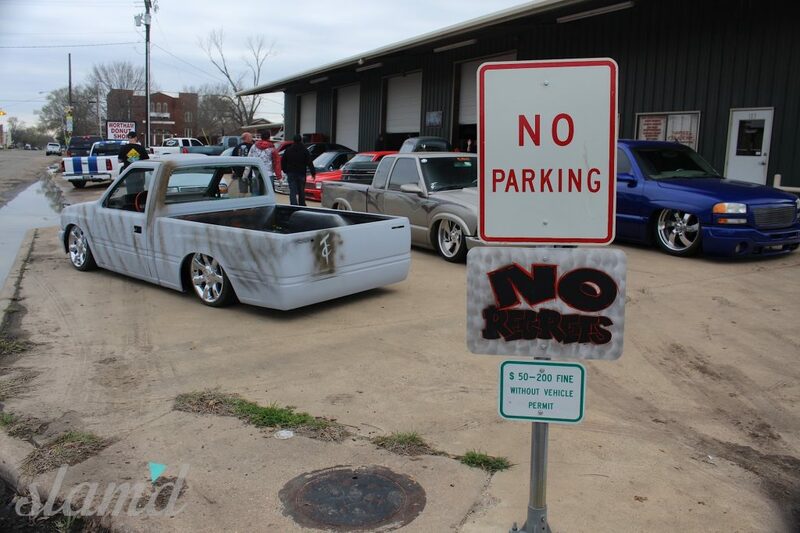 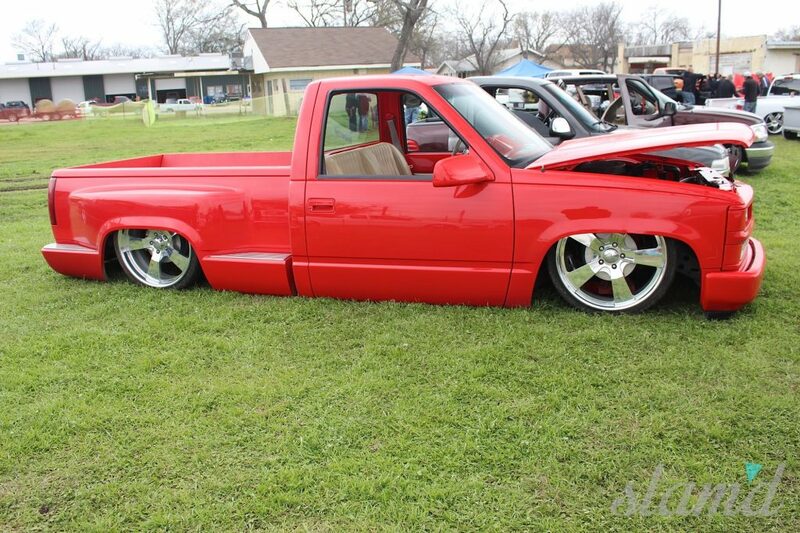 This show is put on by No Regrets Texas and is held at Twizted Creationz Custom Garage. 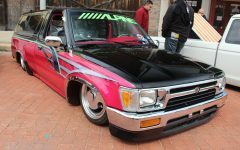 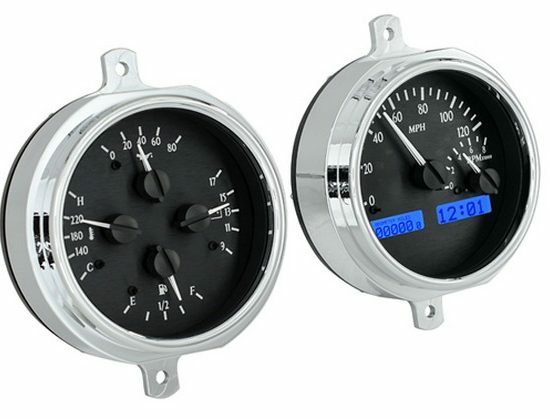 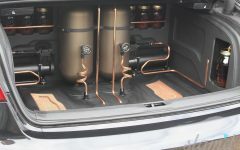 This gives it an even cooler environment since the venue is literally on the streets of “down town” with Twizted Creationz Garage wide open for spectators and entrants to peruse the latest project builds and enjoy the atmosphere of a low-key show held in conjunction with a custom garage. 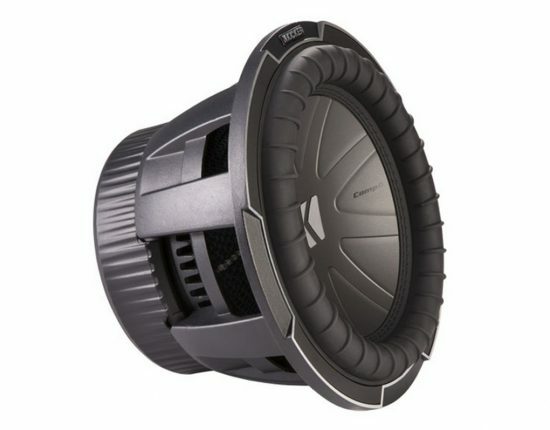 The perfect combination for both venue and show goers alike. 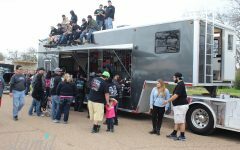 With this being a family run show for a great charity, the proceeds go to a cause near and dear with everything being donated to the National Multiple Sclerosis Society. 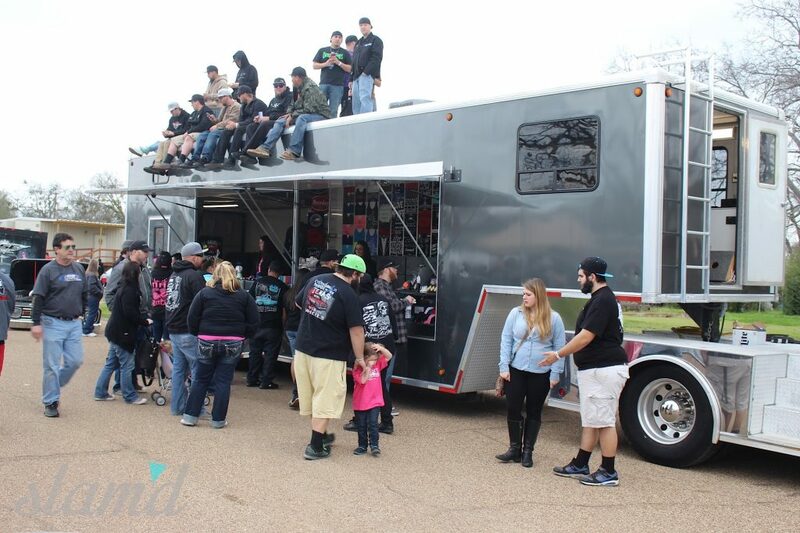 This is a family oriented show during the day with plenty of things to do from bounce houses for the kiddos, vendors to shop, and the huge mix of custom rides to check out throughout the weekend. 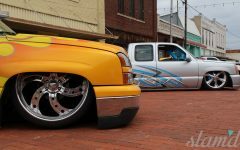 But once the sun sets and darkness creeps in, all hell breaks loose with live bands in the middle of the down town streets of Wortham rocking through the night. 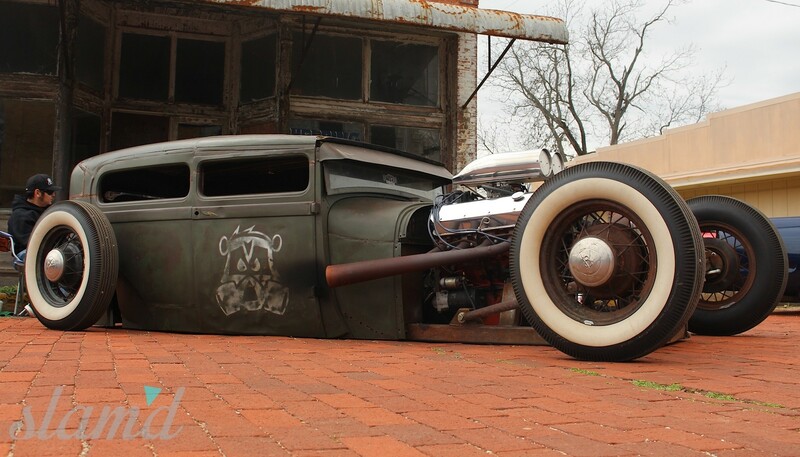 Bars stay open late and the locals are friendly and welcome the custom car chatter throughout the weekend. 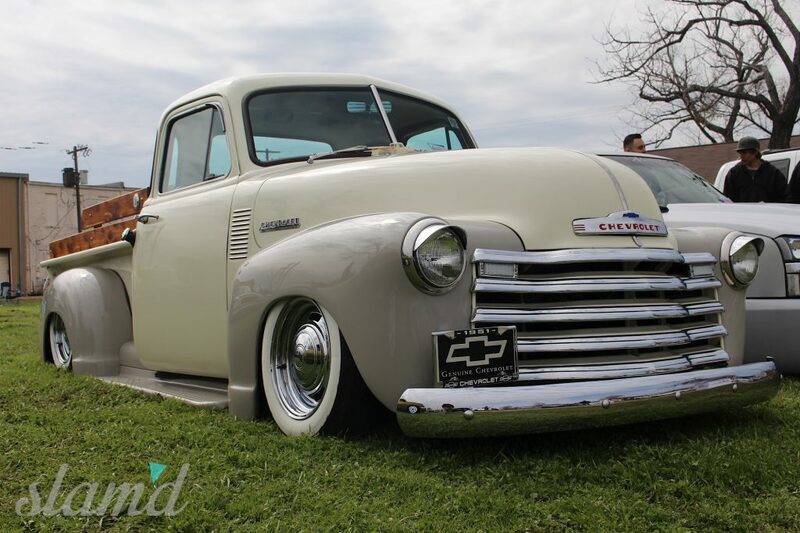 With Saturday night coming to an end, it was time to get up bright and early, pop some aspirin and head on back to the show for the awards ceremony. 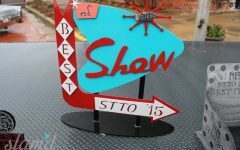 One of the coolest parts of the show is all of the effort the NR guys put into the custom selection of trophies and awards given out. 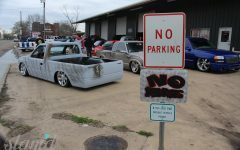 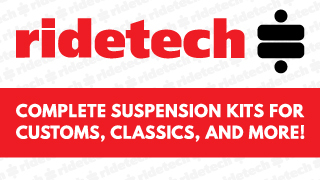 The No Regrets crew knows all of the hard work poured into these custom rides so they want to give something back that will last, and what better way than to honor the winners with some truly one-of-a-kind awards. This year they really outdid themselves and presented a plethora of killer custom trophies to some very lucky custom vehicle builders and owners. 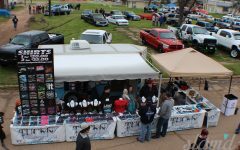 We just love the atmosphere of small town shows that are put on for a great cause and we do our best to support as many of them as possible – and YOU should too. 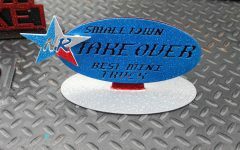 Mark your calendars for next year’s NR Small Town Take Over and we’ll see you there!